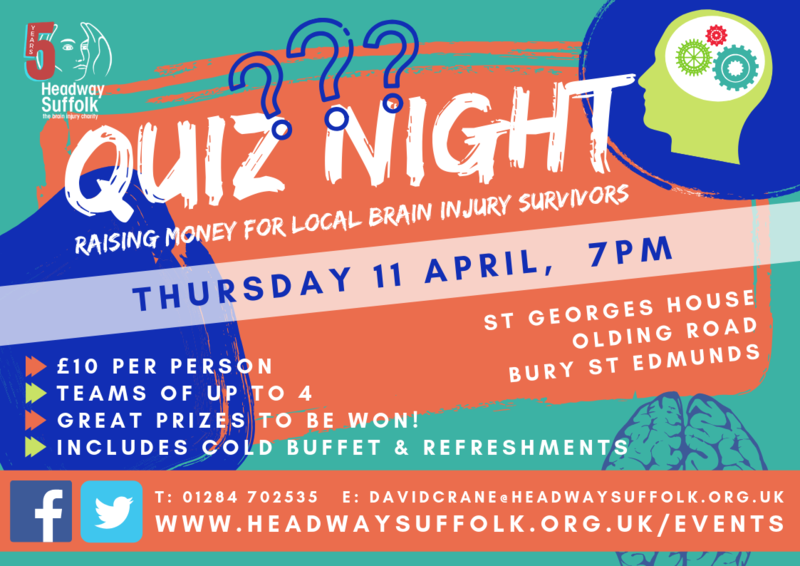 A charity quiz night is being held in Bury St Edmunds on Thursday 11 April at 7pm to celebrate Headway Suffolk’s fifth anniversary and fundraise for its cause. Headway supports local adults with acquired brain injuries and neurological conditions, as well as their families, in their recovery through its extensive range of rehabilitation, therapy and support services. The Suffolk charity was formed on 1 April 2014 following the merger of East and West Suffolk, and since then it’s gone from strength to strength by helping 250 people every week rebuild lost skills, improve confidence and increase social integration at its hubs throughout the county, as well as providing support to individuals in their own home and local community. 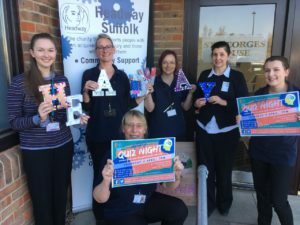 It’s marking its fifth anniversary with the quiz night at its premises at St Georges House in Olding Road, which is next to the West Suffolk Council car park. The event costs £10 per person, which includes a cold buffet and refreshments, with teams of up to four people. There will be great prizes and a raffle. To book your place, contact the charity’s communications and marketing officer David Crane on 01284 702535 or email davidcrane@headwaysuffolk.org.uk but places are now very limited and need to be confirmed by 9am on April 8. David Crane said: “The quiz night promises to be a fun and enjoyable evening as we have service users, families, volunteers, staff, friends and supporters all taking part, as well as colleagues from Ashtons Legal, Suffolk County Council and Bury Town Council. 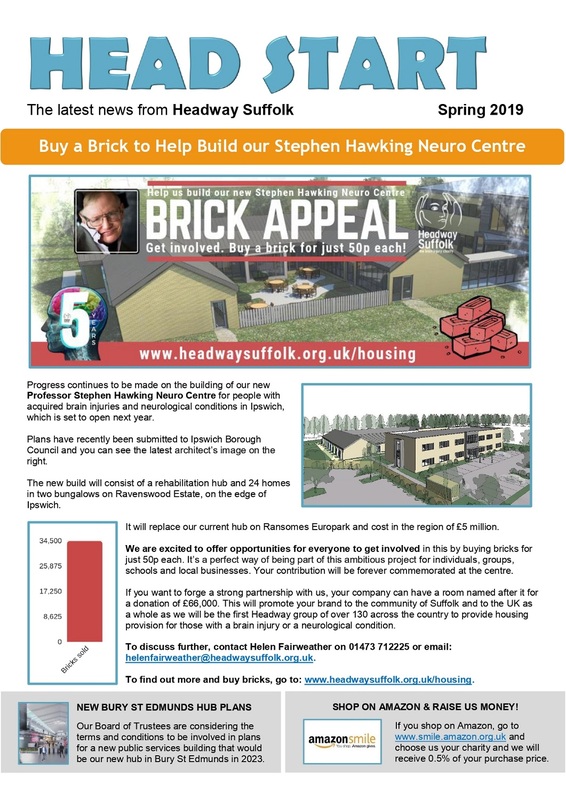 “2019 is a big year for Headway Suffolk as we celebrate our fifth anniversary year, as well as continuing our big plans to build the Professor Stephen Hawking Neuro Centre in Ipswich and continuing talks with St Edmundsbury Council to be part of the new Western Way development for a new hub in Bury St Edmunds. For further information about Headway Suffolk’s events, visit www.headwaysuffolk.org.uk/events. To join the Facebook event page, go to: www.facebook.com/events/311304049526131. 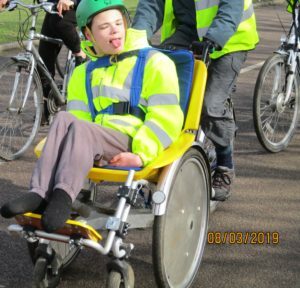 A teenage brain injury survivor will take part in Headway Suffolk’s Cycle Ride and Walk in Ipswich on Saturday 27 April using his specially-adapted wheelchair bike. Eighteen-year-old Mark Baines suffered a brain haemorrhage as a young child after being born eight weeks premature, which has left him severely sight impaired, profoundly deaf and needing the use of a wheelchair. But that won’t stop Mark, who lives in Ipswich, taking part in the charity’s flagship fundraiser. 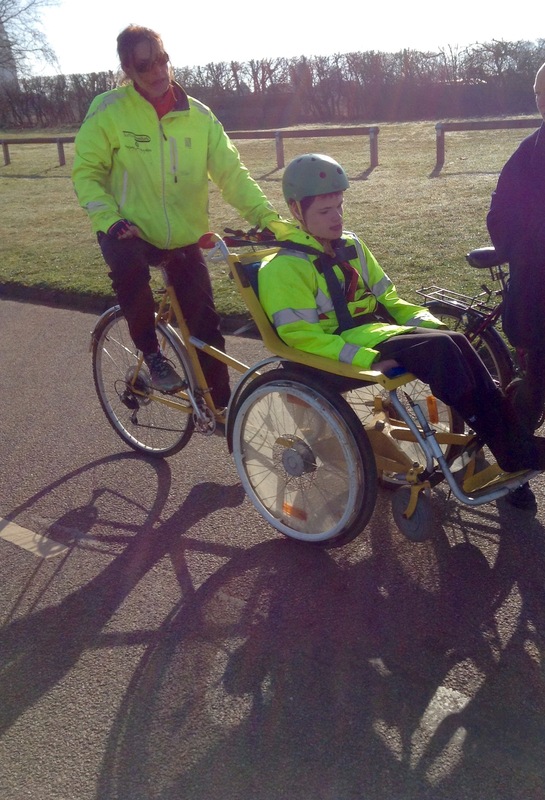 He will be assisted by his parents Tony and Leanne, as well as Headway support workers James and Lydia, who will take it in turns to cycle Mark the course through Ipswich and surrounding areas. 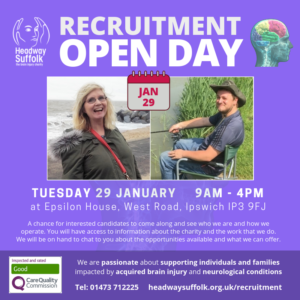 Helen Fairweather, Headway Suffolk’s chief executive, said: “We are delighted that Mark is taking part and showing that, with the right support in place, having a brain injury or a neurological condition isn’t a barrier to achieving your aspirations. “Mark and his family have found the support of Headway Suffolk invaluable with his rehabilitation and keeping his mind and body active. He really enjoys arts and crafts at our Ipswich hub and going swimming with our community team. The event, which has raised £50,000 for the charity in the last ten years, starts (and finishes) at 9am at its premises at Epsilon House in West Road on the Ransomes Europark in Ipswich. Leanne Baines, Mark’s mother, said: “We are really pleased that Headway’s young support workers have come forward so enthusiastically as a group to help Mark take part. As a parent, the whole attitude of ‘how can we get Mark involved and make this happen?’ instead of saying it’s too hard, is fantastic. “It’s been incredible support from Headway with nothing too much bother and offering things such as a back-up van. “Headway is a relatively new place for Mark and everything he is getting in support is everything we could hope for. Headway Suffolk helps users rebuild lost skills, improve confidence and increase social integration through rehabilitation, therapy and support services. It has recently submitted planning permission to build the Professor Stephen Hawking Neuro Centre, a new rehabilitation hub and housing centre in Ipswich. 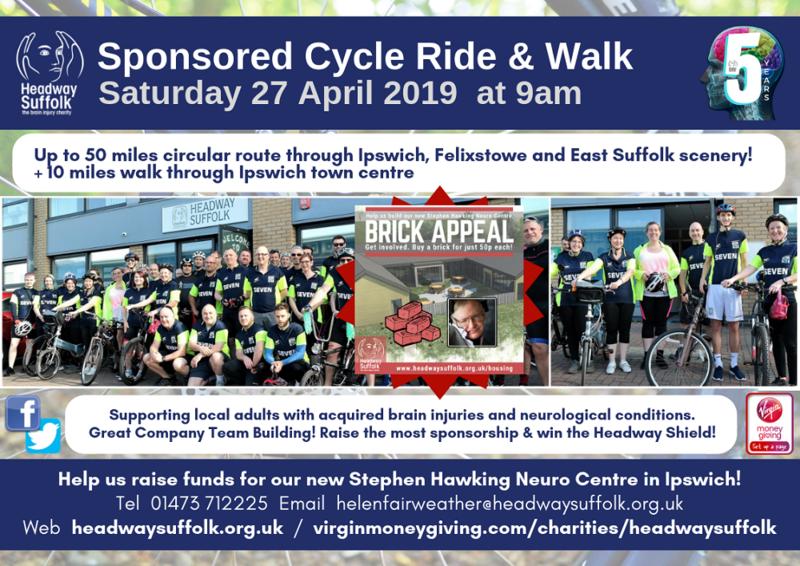 Supporters can get involved in helping the exciting new build by taking part in the Cycle Ride and Walk, which comprises 30, 40 and 50-mile cycle routes through Ipswich, Felixstowe and Martlesham, with a new and improved 10-mile route for walkers. It’s just £10 to participate unless you have sponsorship. 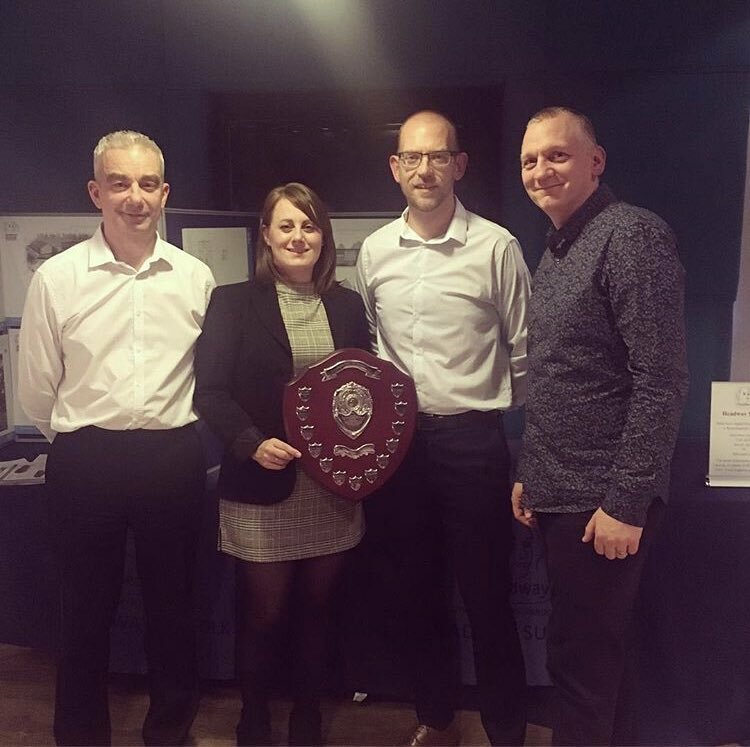 It is open to everyone and is an ideal team-building exercise for companies to compete to win the Headway Shield by raising the most sponsorship. To find out more, visit www.headwaysuffolk.org.uk/events, telephone 01473 712225 or email helenfairweather@headwaysuffolk.org.uk. 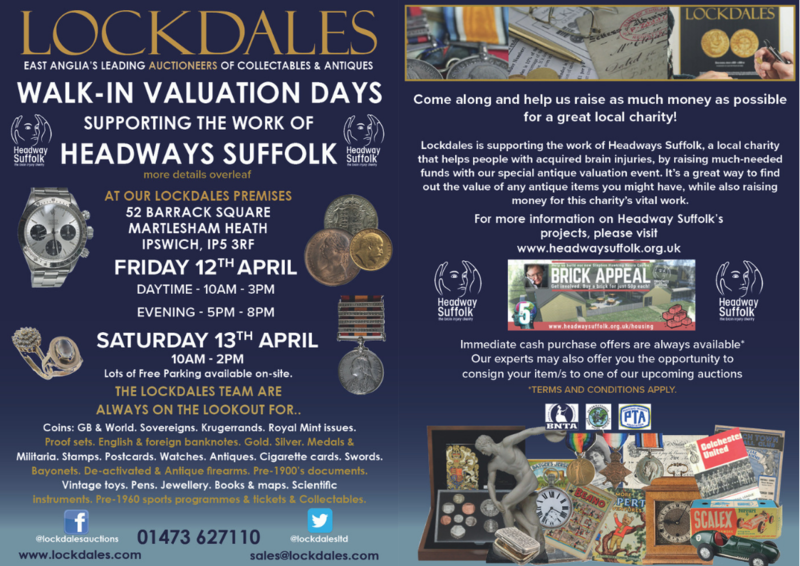 Headway Suffolk, a local charity which supports people with brain injuries and neurological conditions, will be the beneficiary of two free valuation days being held by Suffolk auctioneers Lockdales in April. Lockdales are East Anglia’s leading auctioneers of collectables and antiques, and this year they are generously supporting the work of Headway Suffolk, who support adults with acquired brain injuries and neurological conditions and their families with rehabilitation, therapy and support services. Lockdales are hosting two free valuation days on Friday 12 April from 10am – 3pm and 5pm – 8pm, and on Saturday 13 April from 10am – 2pm. They will take place at Lockdales’ auction house at 52 Barrack Square in Martlesham Heath, Ipswich, and there is lots of free parking available. The auction house’s team of antiques experts will offer valuations and appraisals at the two-day event on a wide range of objects, including jewellery, watches, military medals, coins, old toys and sports memorabilia. Immediate cash offers will be available and their experts may also offer the opportunity to consign your item/s to one of their upcoming auctions. 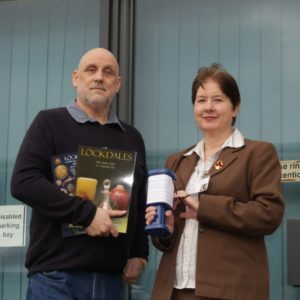 Helen Fairweather, Headway Suffolk’s chief executive, said: “We are very pleased that Lockdales have come on board to support Headway Suffolk in 2019 and we look forward to working with them on some exciting fundraising events throughout the year. 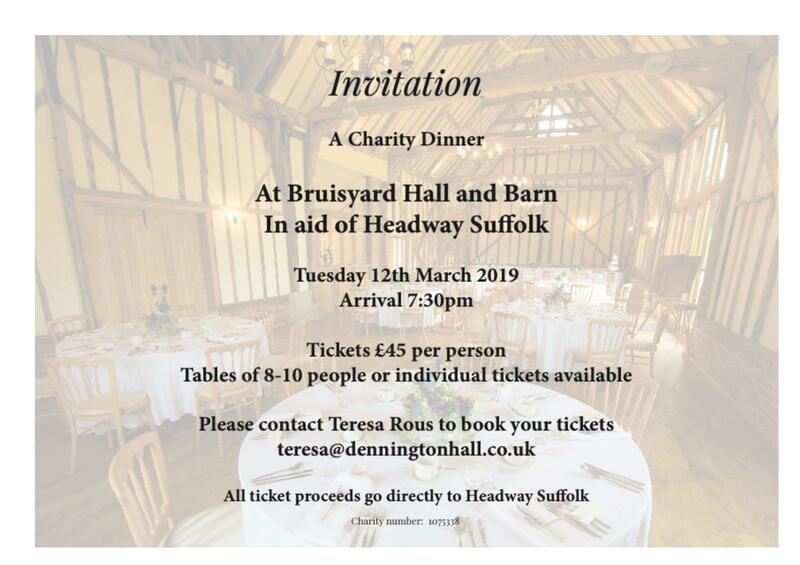 “They are the leading auctioneers in the area and our collaboration will mutually benefit both parties and help us to raise funds and awareness for Headway’s services within Suffolk for local adults with brain injuries and neurological conditions and their families. 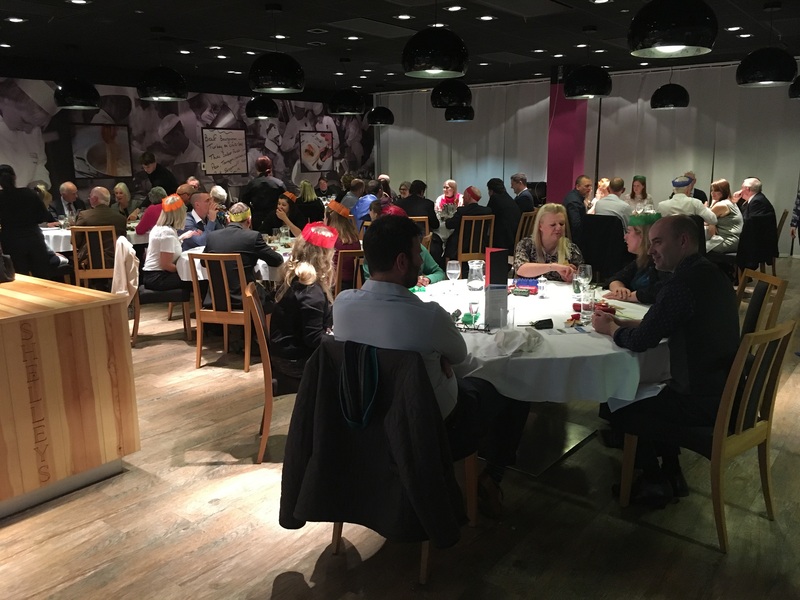 The funds raised through the valuation event and sale proceeds will go towards supporting the build of the new £5 million rehabilitation hub and housing centre on the Ravenswood Estate in Ipswich, which is set to open in 2020. Lockdales’ managing director, Daniel Daley, said: “This is a great way for people to find out the value of antique and old items that they may have hidden away in attics and cupboards, with the potential to make some money and also raise funds for a fantastic local charity. Find out more by visiting www.lockdales.com and www.headwaysuffolk.org.uk, or by calling Lockdales on 01473 627110. 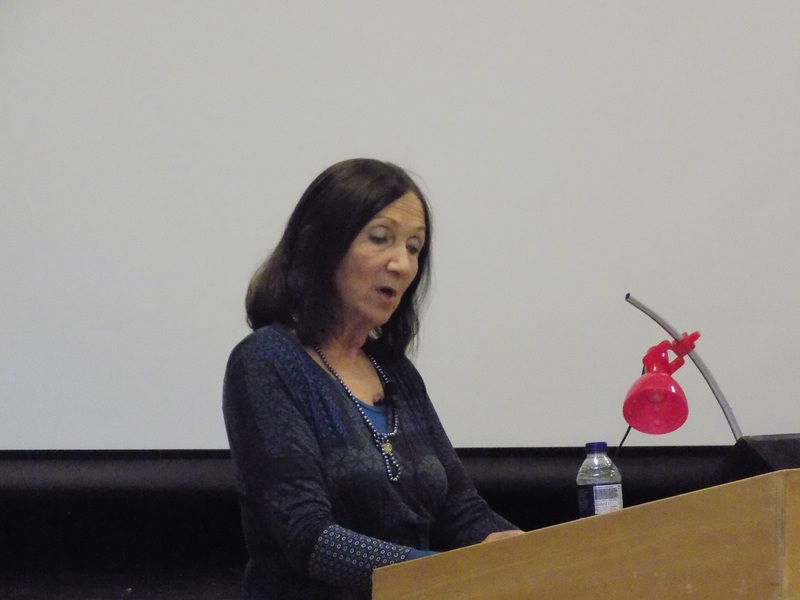 Our new hub and housing plans and how you can get involved; a focus on various forthcoming fundraising events; the first keynote speaker for our Neuro Conference; photos from services; a look at our monthly dementia groups; and other news and fundraising updates. To receive the latest news from Headway Suffolk direct to your inbox, sign up to our mailing list. 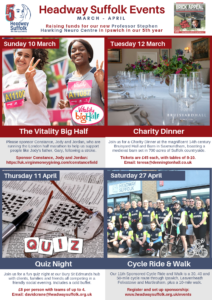 Support our events in April (below) – go to our events page to find out more. 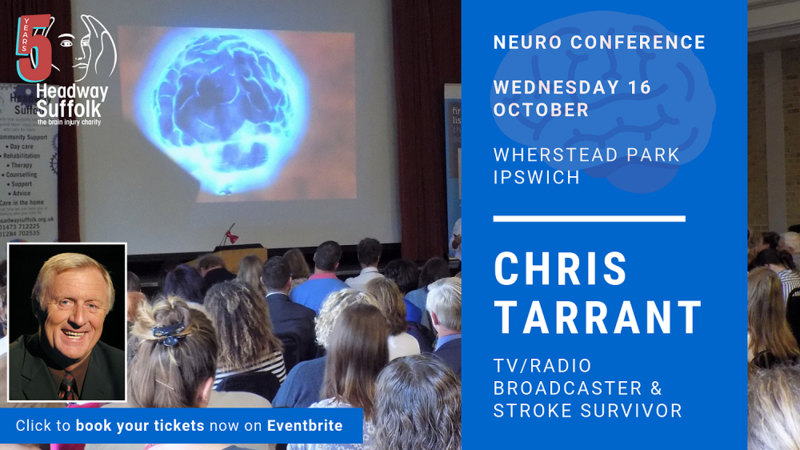 Neurology charity Headway Suffolk is delighted to announce that television and radio broadcaster Chris Tarrant OBE will be a headline speaker at its fifth annual Neuro Conference on Wednesday 16 October at Wherstead Park in Ipswich. Chris’ extensive broadcasting career includes hosting the world’s most successful quiz show Who Wants to be a Millionaire? on ITV from its inception in 1998, for a total of 30 series and 592 episodes until 2014. He also presented the popular early-morning Capital Breakfast show on Capital Radio from 1984 – 2004. More recently, he has presented five series of Chris Tarrant: Extreme Railways since 2012 on Channel 5, where he travels around the world to ride some of the most extreme railways. It was whilst travelling back from filming on a flight from Bangkok to London in March 2012 when Chris suffered a stroke, with his body going numb as he lost the use of his arms and legs and feared he was going to die during the traumatic 12-hour flight. He tried in vain to call his girlfriend three times. Upon landing at Heathrow, Chris collapsed and was rushed to Charing Cross Hospital, where a blood clot was removed from his left leg, which had caused a temporary loss of blood to his brain. Doctors told Chris he had been very lucky, and after spending two weeks in hospital, he had to work on regaining his speech and movement. He has subsequently improved his diet, started exercising and reduced his workload. The 72-year-old was awarded an OBE from the Queen at Buckingham Palace in 2004 for services to broadcasting and charity. Helen Fairweather, Chief Executive of Headway Suffolk, said: “We are really delighted and excited that Chris Tarrant is coming along to tell his fascinating story of suffering a stroke and how he manages to live a full life with its effects. According to the latest statistics by Headway – the brain injury association, there were 31,508 admissions to hospital in the East of England with acquired brain injury in 2016-17. 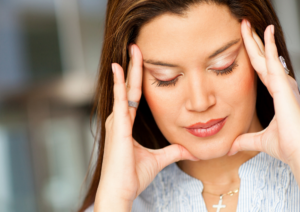 Stroke was the second most prevalent cause with 12,080 (of which 6,341 were males) after head injury (12,940). In Suffolk, there were 3,201 total admissions (8.7 per day), of which 1,215 were from a stroke (657 male). 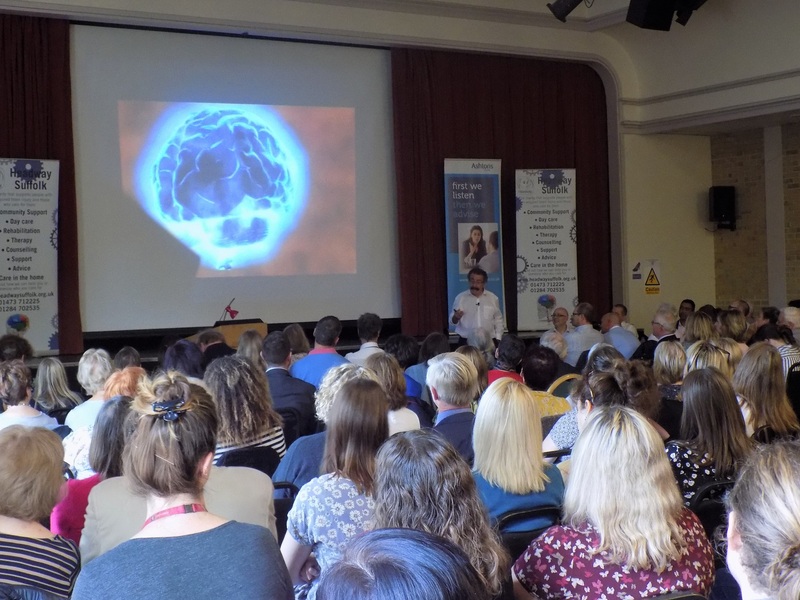 Headway Suffolk has attracted huge interest in its previous four conferences, with health expert Robert Winston presenting on the human mind last year; author Jane Hawking talking about her life as a family carer in 2017; famed scientist Stephen Hawking making a rare public appearance to discuss his life with motor neurone disease in 2016; and local brain injury survivor Andrew Renton taking his first public steps in 21 years in 2015. 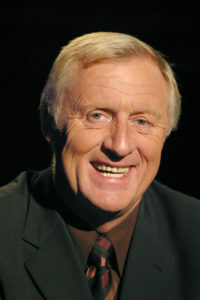 This year’s event promises to be another highlight in Suffolk’s calendar with Chris Tarrant set to be joined by other eminent keynote speakers (to be announced in due course) to address guests on a variety of subjects related to brain injury and neurological conditions. Early tickets, priced at £40 each (plus booking fee), can be purchased via www.headwaysuffolk.org.uk/events or directly through Eventbrite at www.eventbrite.co.uk/e/headway-suffolk-neuro-conference-2019-tickets-55527680788. 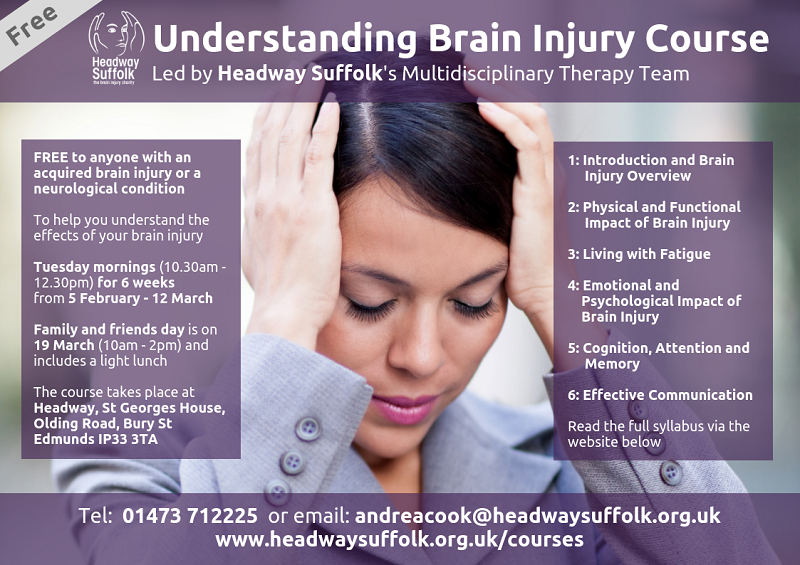 Two free courses aimed at helping people and their loved ones understand the effects of brain injury or a neurological condition will take place in the New Year, run by charity Headway Suffolk. 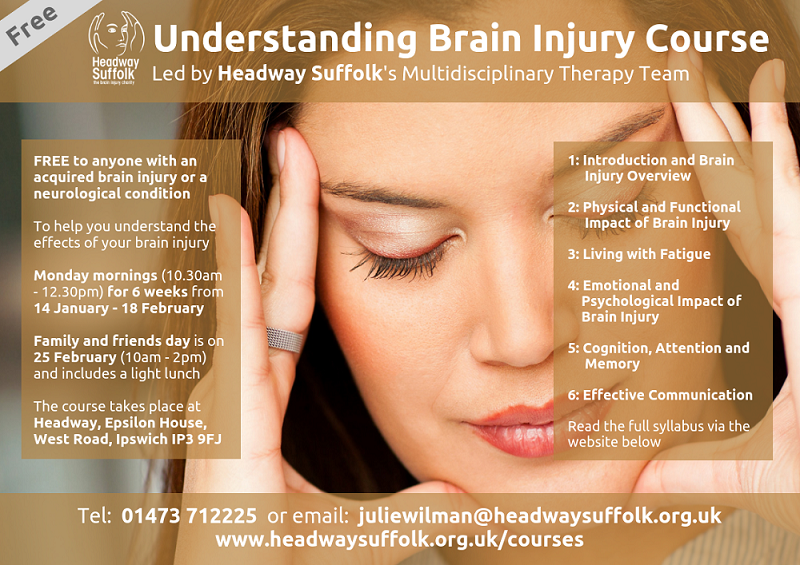 The Understanding Brain Injury courses, run by Headway Suffolk’s multidisciplinary team, look at how the brain works, the impact of trauma on areas of the brain, practical strategies and tips to manage difficulties with memory, attention, function, communication, fatigue, anxiety and mood. They are free to anyone with anyone with an acquired brain injury or a neurological condition but with a suggested donation of £5 to offset costs. The courses run over a period of six weeks and cover topics: Introduction and Brain Injury Overview; Physical and Functional Impact of Brain Injury; Living with Fatigue; Emotional and Psychological Impact of Brain Injury; Cognition, Attention and Memory; and Effective Communication. They also provide a valuable opportunity to meet others who are going through similar experiences for peer support. Following completion of the programme, there is a day that is designed specifically for family and friends only, covering the topics outlined above. The first course takes place in Ipswich on Monday mornings from 14 January – 18 February, between 10.30am – 12.30pm, at Headway Suffolk, Epsilon House, West Road, Ransomes Europark, Ipswich, IP3 9FJ. The family and friends day takes place on Monday 25 February from 10am – 2pm, with a light lunch included. The second course takes place in Bury St Edmunds on Tuesday mornings from 5 February – 12 March, between 10.30am – 12.30pm, at Headway Suffolk, St Georges House, Olding Road, Bury St Edmunds, IP32 6TF. The family and friends day takes place on Tuesday 19 March from 10am – 2pm, with a light lunch included. Places are limited and on a first come, first served basis. To book, telephone 01473 712225 or email: juliewilman@headwaysuffolk.org.uk. To read the full syllabus, visit the website: www.headwaysuffolk.org.uk/courses. Go to the Facebook Event pages – Ipswich and Bury St Edmunds. In Suffolk, there were 3,201 admissions (1,780 male, 1,421 female) to hospital with acquired brain injury in 2016-17. That is 8.7 admissions per day. Of the total admissions, 1,318 were head injuries (789 male, 529 female), 1,215 stroke (657 male, 558 female) and 421 tumours (228 female, 193 male). 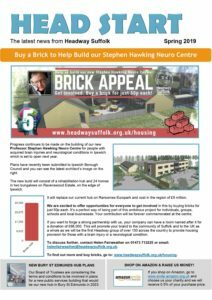 The brain injury charity is building the £5 million Professor Stephen Hawking Centre, which includes 24 homes in two bungalows and a new rehabilitation hub for local adults with acquired brain injuries and neurological conditions, on the Ravenswood area of Ipswich, to be ready by 2020. 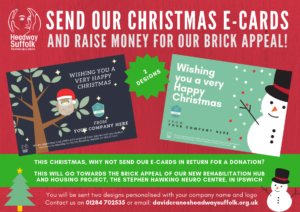 This Christmas, businesses can send their colleagues Headway Suffolk e-cards, personalised with the company’s name and logo and featuring two designs, in return for a donation towards the brick appeal. Anyone wishing to get more involved in the new build should contact Helen Fairweather, Chief Executive, on 01473 712225 or email: helenfairweather@headwaysuffolk.org.uk. Headway Suffolk supports 250 adults a week who have an acquired brain injury or a neurological condition through an extensive range of rehabilitation, therapy and support services at its hubs, in the community and in people’s homes. According to the latest statistics released by Headway – the brain injury association, there were 3,201 hospital admissions (8.7 per day) of acquired brain injuries in Suffolk in 2016-17, of which 1,780 were male and 1,421 were female. Of the total admissions, 1,318 (41.1 per cent) were for head injuries and 1,215 (37.9 per cent) were for strokes. The remainder are 421 (13.1 per cent) for tumours, 127 (3.96 per cent) for others and 77 (2.4 per cent) for meningitis. 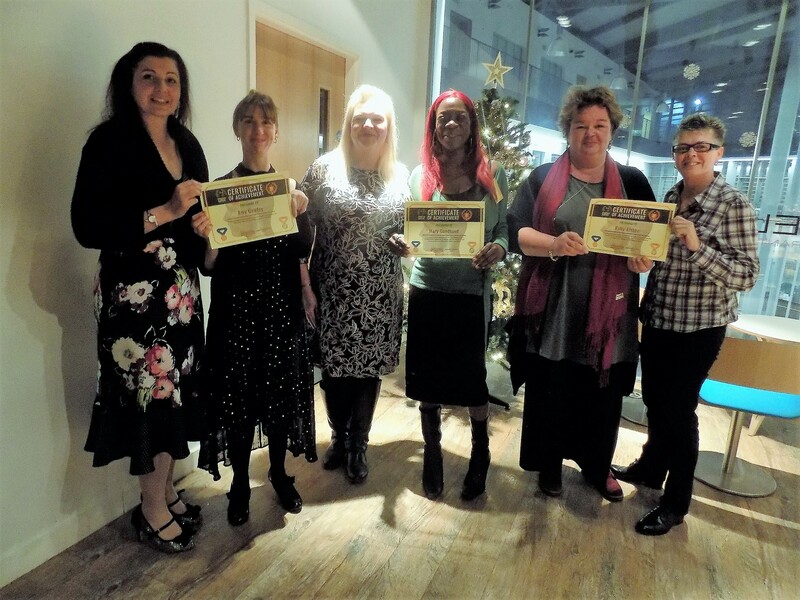 Significant achievements made by three brain injury survivors in Suffolk were celebrated at an Awards Dinner by charity Headway Suffolk on 22 November. Every day, Headway Suffolk sees remarkable strides made by its 250 service users against adversity after having their lives affected by a brain injury or a neurological condition. 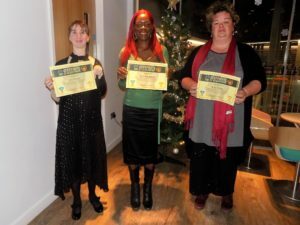 The charity’s rehabilitation team selected three survivors who have made substantial progress in their recovery to receive an award, which was presented at the dinner at Shelley’s Restaurant in Suffolk New College in Ipswich. Mary Goodhand, aged 47 from Ipswich, was recognised for coming on leaps and bounds and making massive improvements in presentation, engagement and her persona, as well as being dedicated, enthusiastic and hard working. Mary suffered an aneurysm and a stroke six years ago, and started receiving support from Headway in November last year. 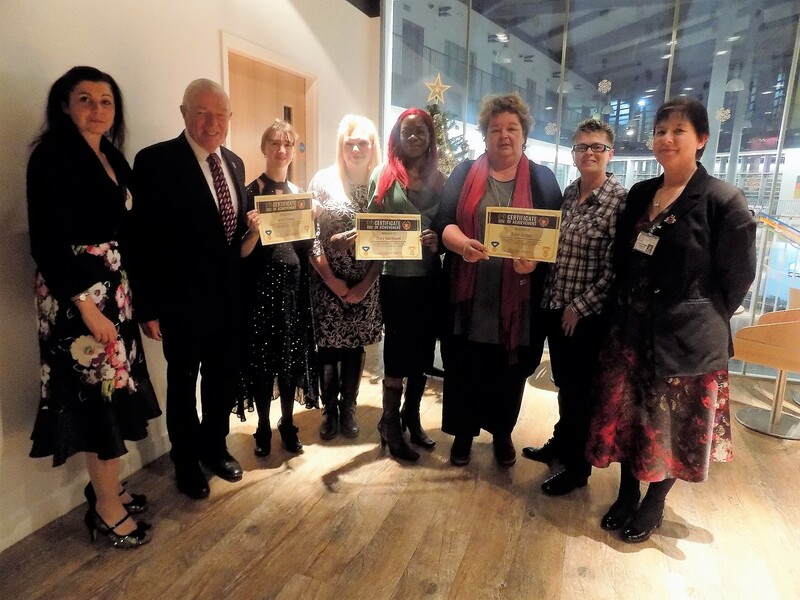 She was presented with the award by Belinda Twinn-Lee – the charity’s Homecare Manager. Amy Cowley, aged 37 from Felsham near Bury St Edmunds, was recognised for gaining confidence in herself and her abilities, and for expanding her skillset in areas such as textiles, numeracy and literacy. Amy sustained a brain injury in a road traffic accident when she was just 18 months old, and she started receiving support from Headway in August last year. She was presented with the award by Zellah Andrew – the charity’s Hub Manager for Bury St Edmunds and Haverhill. Ruby Alston, aged 45 from Felixstowe, was recognised for making good progression with the catering group and working towards a food and hygiene certificate, as well as her perseverance, and for being kind, caring and always ready to support others. Ruby sustained a brain injury in a road traffic accident when she was 19, and she started receiving support from Headway in September 2015. She was presented with the award by Trina Robus – the charity’s Team Leader for the Ipswich hub. David Crane, the charity’s Communications and Marketing Officer, said: “Every person’s journey and progress is different. Each positive step someone makes in their recovery helps them to progress and live a more fulfilling and independent life, as well as improving their confidence, everyday skills and social interaction.